Official travel guide for the state of Tyrol (Austria). 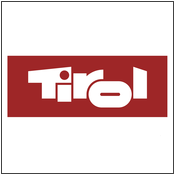 App for iPad and iPhone offers many ways to navigate and find the places to go and things to do when visiting Tirol. Developed by Exozet Berlin GmbH, I was part of a group of 4 developers. My main task was the iPhone interface (90% of it), the Grid View (UICollectionView with a custom layout) and many interactive and navigating elements: collapsing headers, autocomplete menus, drop down menus, photo galleries, etc.